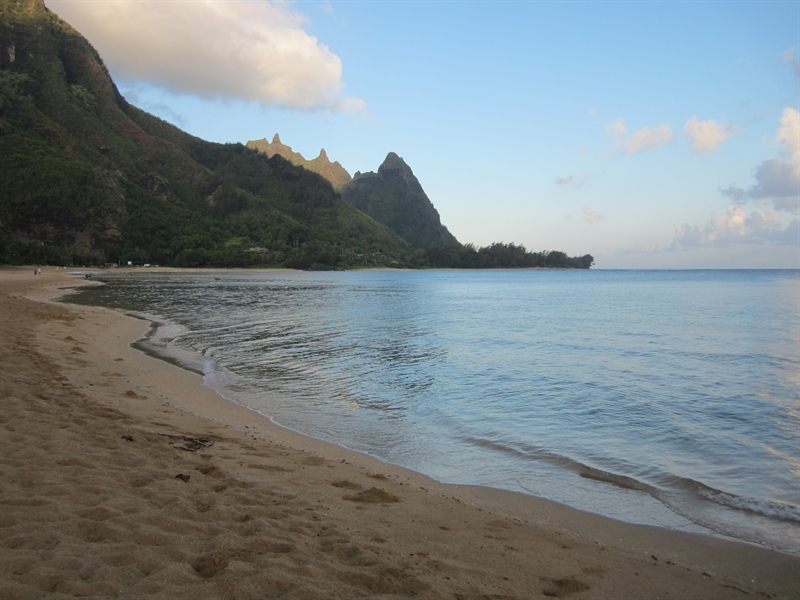 This beach can be found at the end of the road past Anini Beach. You can park in the dirt road at the end of Anini Road, or drive into Princeville and park at the public access lot at the Westin. The lot is just outside the entrance of the resort to the right, next to the golf course. 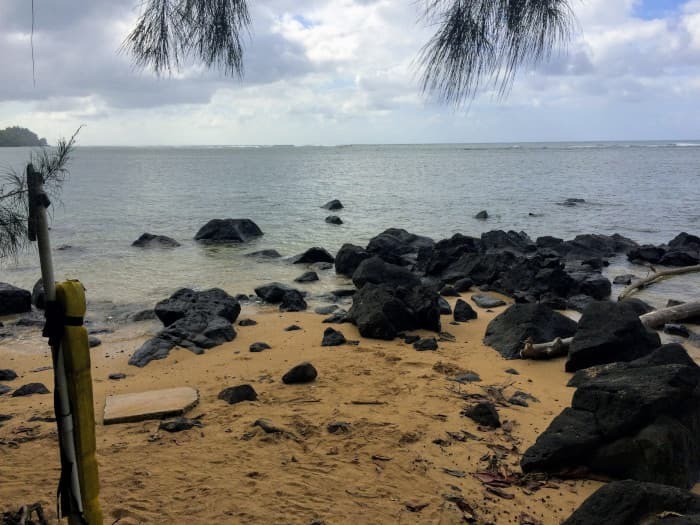 Take a moment to admire the fantastic view of Anini Beach from the cliff, then start your trek down this step, muddy and rocky path. The path is wide and has plenty of room, but is still quite rough. There are only a few spots at this parking lot, however we had no trouble finding parking here mid day, on a weekend in peak summer time. So perhaps it’s not well known, or desired. Water can be murky after rains. Watch for rocks and underwater hazards. The trail is slippery and steep, so take your time and step carefully. Also, be cautious near the mouth of the river, as currents can get strong here. Hello! I'm interested in the Wyllie Beach property, with the URL https://www.kauaibeachscoop.com/listing/wyllie-beach/ and I'd like to be contacted for more details.